Rebel Heart sailboat rescue: Eric and Charlotte Kaufman are part of my community, and we’re good parents. Adventure sailing with young children can be risky. It’s also the best way I know how to parent. Maia’s adventures have given her the sense of wonder she looks at the sky with today. The crazy chorus is loud and angry after a fellow cruising family underwent very public rescue this past weekend. Sailors Eric and Charlotte Kaufman were sailing their vessel, the Rebel Heart, from Mexico to New Zealand with their young daughters Lyra, 1, and Cora, 3, when, 900 nautical miles from Mexico, they made an emergency call to the Coast Guard after their youngest daughter became seriously ill and the boat’s power and steering malfunctioned. As the rescue played out in the news, with the Navy and the National Guard both stepping in, many questions were raised: Who should pay for the no-doubt costly rescue of this family? Did the Kaufmans have enough training for this big trip? And, most of all, what were they thinking taking their young daughters on such a risky adventure? My husband and I sailed for three-and-a-half years, over 12,000 miles, and through 10 countries before pulling into a foreign port and having a kid. We kept our adventures land-based for a while, not setting off on our daughter Maia’s first extended cruise until she was 3. At 12 years of age, Maia’s now put in more sea hours than shopping hours and is more familiar with the stars in the sky (in both the Northern and Southern hemispheres) than the ones in the tabloids. She’s graceful and self-assured, in no small part because of her unconventional childhood. Like the Kaufmans, we’re part of an international network of cruising families who make up an estimated 10-15 percent of the 10,000 or so cruising boats that are out sailing the world at any one time. (I’m actually friendly with Charlotte Kaufman, whom I met through blogging several years ago.) Currently hundreds of these families are showing their support for the Kaufmans in the Facebook group Friends of Rebel Heart and through a fundraising campaign that has raised more than $10,000 to help with their expenses (their boat was their home, and they lost it). I’m not going to lie: Our lifestyle comes with risk. 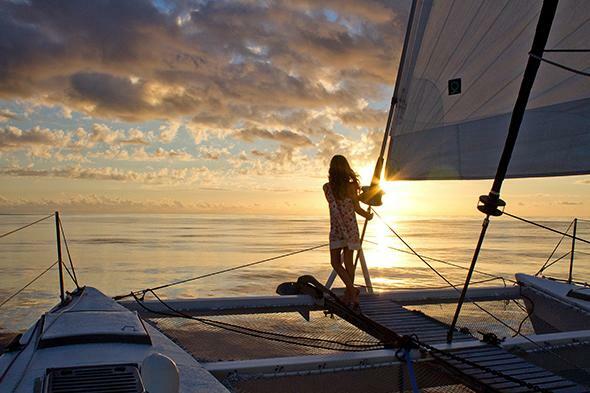 There are storms at sea, illnesses in remote locations, white-knuckle moments, and near misses. We knew the family on the Nina, the 85-year-old American schooner that disappeared after it sailed from New Zealand on May 29, 2013, bound for Newcastle, Australia. We’ve been involved in a handful of rescues and have known people who lost their boats and others who lost their lives. One night, when Maia was 8, a weather bomb hit our Mexican anchorage. When another boat’s mayday rang out over the radio I hustled my daughter into her lifejacket, put her cat in a backpack, and held her tight. Meanwhile my husband struggled to save our boat. Most boats are lost not because of one mishap but because of a cascade of small failures and errors. We had an unresolved engine problem and in the ferocious wind we couldn’t see where safety lay, which meant as two huge fishing boats were blown toward us we had no way to dodge them. Even if we could, we had no idea where to go. We were saved by luck and skill. Perhaps exposing Maia to that sort of danger was reckless. But to me, the potential payoff has always outweighed the risk. After all, it was risky when, at 14 months old, we took Maia across Canada. Shivering in a remote northern campground in the autumn cold, we woke her after midnight to show her the Northern Lights. When she was 4, she climbed her first mountain. She insisted on hauling herself up the steep summit under her own power and pumped her fist mightily when she made it. We crossed the Pacific when she was 9, part of a Puddle Jump fleet that included more than a dozen “kid boats,” as we call them. In the Tuamotus we took Maia snorkeling and once inadvertently jumped in amid a school of timid reef sharks. I lifted her legs to the surface to keep her from kicking one as we sputtered in astonishment. A short while later she swam alone with a giant manta ray. 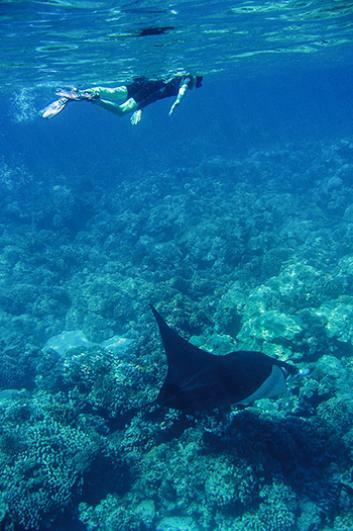 Maia swimming with a giant manta ray in the Tuamotus. I know this life isn’t for everyone. But it’s also not a life that needs to exclude children. Risk can be balanced by skill and knowledge. 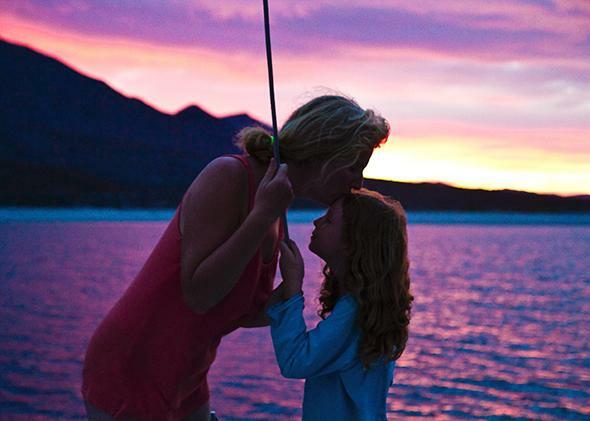 Like most boat parents, we’ve spent years educating ourselves about everything from remote first aid, to weather forecasting, to homeschooling, to emergency management, and even to shark behavior, all while amassing a savings, outfitting a boat, and reading bedtime stories. How much risk is too much risk is a question that we all ask ourselves and a calculation we spend every day trying to solve. I suspect parents in the suburbs do the same. I know a lot of people think we’re selfish—unable or unwilling to give up our adventurous lifestyle to do what’s best for our child. But most of us boat parents chose to embark on voyages with our kids not because they’re inconveniently along for the ride but because we’ve made an intentional choice to share the journey with them. Even when they’re very young, like the night we woke Maia and bundled her up to look at the Northern Lights, the experience wasn’t wasted simply because she was too small to remember. I recall the moment when Maia reached to the sky in awe. She showed the first glimmers of the well-developed sense of wonder she looks at the sky with today. And we’re not just developing wonder, here. There is research to suggest that early childhood experiences are, as Harvard University researchers put it, “biologically embedded in the development of the brain and other organ systems and have lifelong impacts on learning, behavior, and both physical and mental health.” Not to mention that older kids experience very real and measurable benefits from their travels, which range from increased self-esteem to a greater sense of independence. 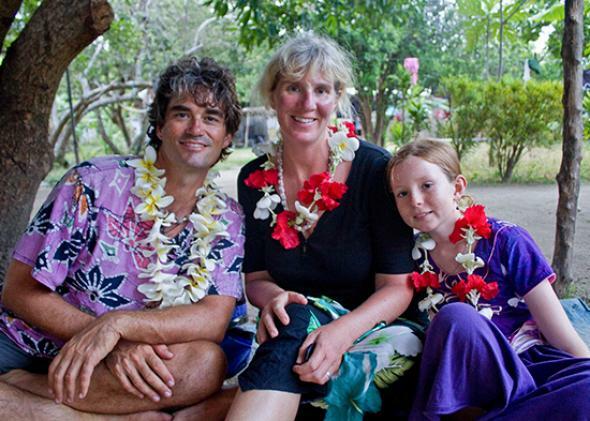 Sara Johnson, one of a trio of authors that’s written the upcoming book, The Complete Guide to Cruising With Kids, crossed the Pacific in 2012 with her husband and children Holly (then 3) and Leah (6). She found that not every benefit was planned, and recounts on her website how her kids have played with dozens of children they didn’t share a common language with and have picked up smatterings of Spanish, French, Tongan, and now Māori as they go to school in Auckland, New Zealand. As for Maia, we’ve watched her grow from the little girl who taught her grandmother how to haggle for clothes in Mexico into the almost teenager with a firm grasp on world events and a strong belief that she has a role to play as a global citizen. During a stint of being a “normal” kid in Australia, she campaigned to have recycling at school and it was her choice to redirect her Christmas money to Kiva, not just to help struggling business people in need but to help her friends. She’s met so many people. Diane and Maia at sunset in Mexico. The simple answer to those who accuse us of putting our daughter in danger is that this life is the best gift we know to give her. It is wondrous to slip into a foreign country at first light, arriving as ancient seafarers did, the land slowly revealing her secrets as our boat ghosts unnoticed into an unfamiliar harbor. We are letting our daughter discover what it means to explore. Yes, there is risk involved in daring to show her the world—but the alternative, the one where we never share our passions with our child and never show her the value in pursuing her own, seems far more dangerous.